brings back memories of my youth. I just love the vintage look of the cup. 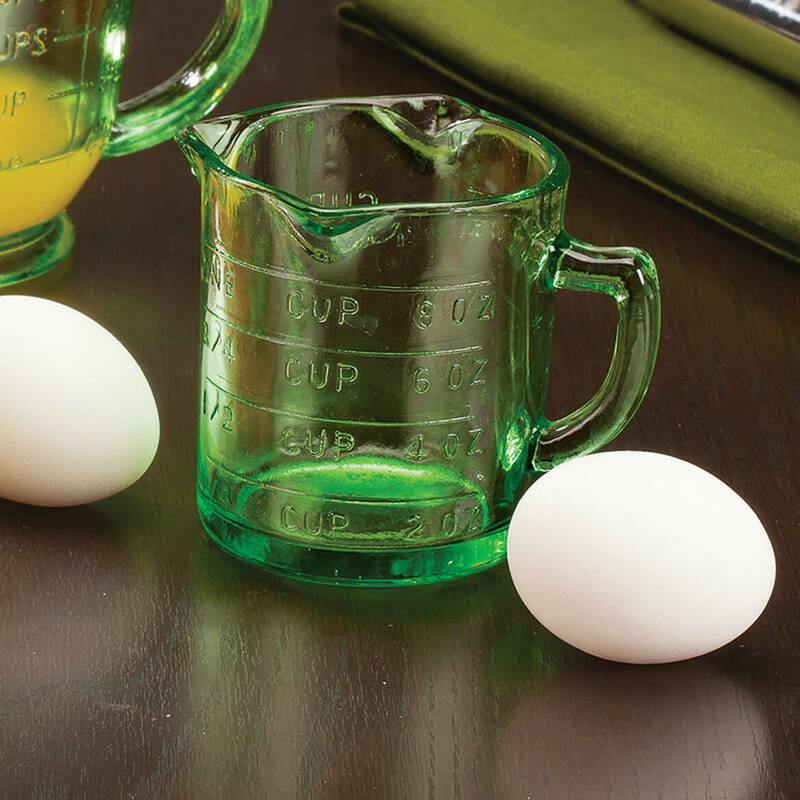 We always seem to need another 1 cup measuring cup. This one has the novelty of having three pouring spouts, which makes it very convenient. Just liked the looks and color. It looks old. 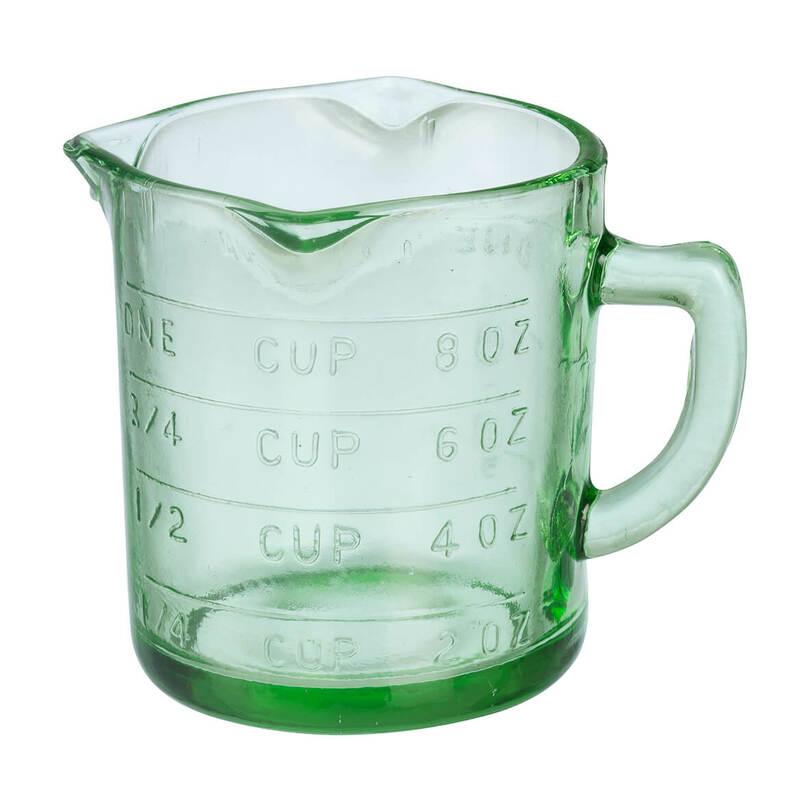 Needed a glass liquid measuring cup with etched measurements in the glass. I love the nostalgic item, and the three pouring spouts. I simply love this item for the fact that the measures are imbedded into the glass so no fear of the measures getting faded and I love that its old timey looking. I remember growing up with these. It's made of glass and it has the measurements embossed on the glass plus three spouts for pouring! Can this cup go in the dishwasher? BEST ANSWER: Thank you for your question. Yes this is dishwasher safe. We hope this information will be of help to you. I usually just wash it by hand but when I have a lot of baking stuff I have put it in the dishwasher, top rack and it comes out fine. Is this cup microwave safe? BEST ANSWER: Thank you for your question Yes the cup is microwave safe.We hope this information will be of help to you. does the opposite side of the glass have measurements for thirds of a cup? I am only seeing quarter, half, three quarter, etc. Thanks! BEST ANSWER: Thank you for your question. Yes the opposite side shows 1/3. 2/3 and one cup. We hope this information will be of help to you.